FDC Access & Parking Solutions - Page 62 of 62 - Florida Door Control of Orlando, Inc. Blog. Access control, revenue parking, and security products and news. What’s the most important factor in choosing a security gate? Security? It should be. That’s why StrongWeld security gates are used in several government installations and high security areas. They’re built stronger, they’re built tougher, and they’re built custom. FDC has manufactured StrongWeld custom gates for decades and puts a lot of extra planning and thought into their design. StrongWeld gates are built for reliable, automatic operation in the most demanding environments. StrongWeld security gates can be manufactured in a variety of fabrics including steel, aluminum, and chain link. Electric gate operators from HySecurity, Liftmaster, Elite and others make the gate automatically open and close for you. These gate operators come in a variety of styles which we will review for you here to help you pick out the gate operator that best suites your needs. 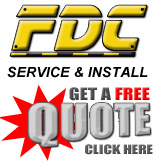 FDC has offices in Jacksonville, Ft. Lauderdale/Miami, Orlando, Melbourne, and Tampa to install or service any and all automatic door, electric rolling gate, parking equipment or access control systems. For more information check us out at FDC.com. Thank you for visiting FDC.com! We’re glad you’re here. FDC has been a leader in the entry management industry for over 30 years. We specialize in all forms of entry management. We started back in the 70’s working on doors, which lead to automatic doors, which lead to automatic electric driveway gates, which lead to security cameras and so on. Now we are Florida’s premiere supplier of access control systems, which include keypads, telephone entry systems, card readers, remote control access and more. We are the sole manufacturer of StrongWeld gates, the toughest, most durable gates in the industry. StrongWeld gates can be custom designed by our manufacturing professionals to accent and beautify a gated community, or blend in with existing decor. 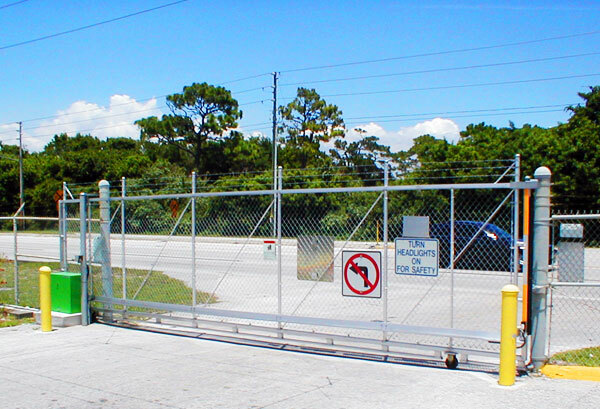 These gates are also some of the most reliable gates on the market, and are trusted by major industries like FPL and Progress Energy to keep facilities secure. Make sure to check back for special offers, tips, and other useful information as the new FDC.com grows.